Assetwolf is ideally suited to industrial internet of things applications: it has a built-in means of handling Companies, Locations, Roles and Users. Here's the concept of how it works. Companies and Locations are a way of organising users, assets and other data. A company is any kind of legal entity, and which has one or more locations. A location is a place with a physical address in the real world. A company has one or more locations. Users are the individuals who will have access to the portal. In a B2B Assetwolf portal, they are people who work at at one of the above Companies. Users should be related with one or more Locations in order to get access to data. In the simplest B2B system, customers all have a role called "Customer". However, in more complex configurations, there can be different roles, such as "Supervisor" or "Operator". A User can have a role at multiple Locations, and can even have a different Role at one Location from that at another. 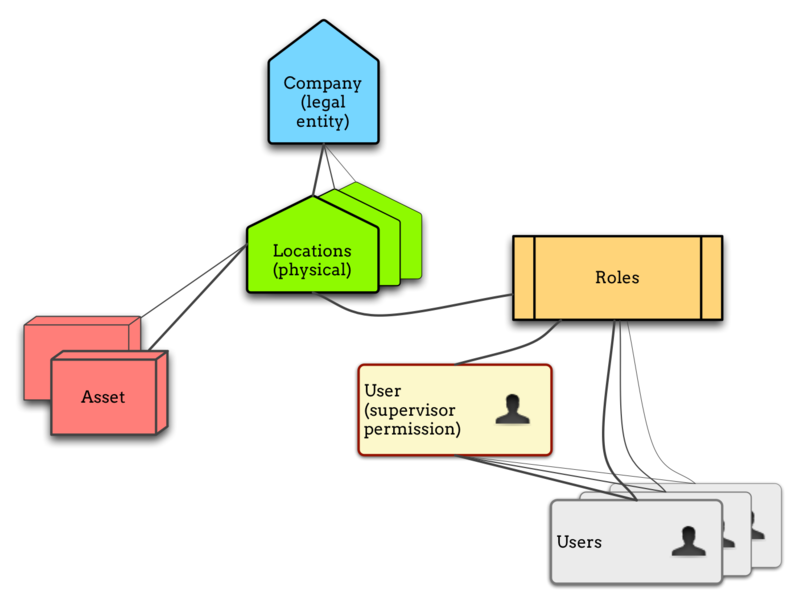 In a B2B portal, Assets ("things") are linked with Locations. In the real world, a Location may be a factory and its Assets are the things inside the factory that are being monitored and controlled. A Location will typically have many Assets, but an Asset can only have one Location. The model might sound complex, but it's easy to use for customers. When a customer user logs in, Assetwolf identifies the user, and his roles and locations. Through them it traces all of the assets, and presents the data and features according to those relationships.